"You were dead, you were sleeping the big sleep, you were not bothered by things like that, oil and water were the same as wind and air to you. You just slept the big sleep, not caring about the nastiness of how you died or where you fell." I do not think this unbelievability took away from the novel as whole. In fact, it is this lead character and the overall atmosphere of the novel that carries it. The atmosphere is gorgeous and descriptive and everything has that old Hollywood vibe. Although the novel takes place in LA, the setting is less concerned with the city as it is with its immediate surroundings; lavish mansions overlooking the Hollywood hills, clubs that look swanky by night and seedy by day, and of course Marlowe's own dingy office. Added bonus: I did not predict the ending before it was revealed, which made it even more fun. 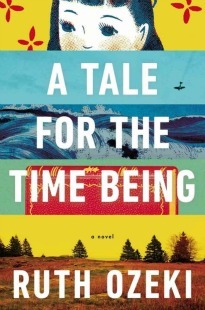 I will say that I had to pay careful attention to the plot throughout, as it changes often, taking more turns than any other 250 page novel I've read. If I lost concentration for even a page I had to go back and reread it, because you better believe something happened to change the direction of the storyline. Aside from the somewhat confusing plot, I have no complaints. 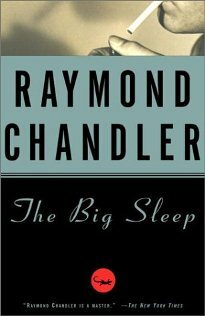 Among his other novels, Chandler wrote a total of seven Philip Marlowe titles. The Big Sleep was the first, and I definitely plan to read more. Such a fantastic read! Thia reminds me that I need to get my hands on more of what Chandler wrote! I'll have to read it! I've never read any Chandler! Brilliant book - I've read this at least 5 times. Plus the Bogart/Bacall movie version rocks. I've been wanting to read this forever. When I was a teen I read an abridged version of it in a Reader's Digest book or something like that, and I remember liking it. Also, thinking of the show Dexter, where he's a blood spatter analyst for Miami Metro but also a serial killer...well, Marlowe doesn't sound so unbelievable, does he? I've never read this and am intrigued by the number of plot-turns. It seemed to me that the 1946 movie didn't have a plot at all! The unbelievability of Chandler's hardboiled is an interesting problematic you raise. As traditional crime fiction thrives in realism, hardboiled (and noir) is about heightening the fears about the real world. The bad guys are the bad guys you read about in sensational papers, the world is afraid and no one helps the heroes. If there are any at all. Heath Lowrance qualified it of "hyperrealism" and I think this is accurate. Very good review of an iconic book, Brenna. Very sharp. Hey thanks, Ben. You definitely know more about these genres than I do, so it's nice to get some inside perspective. I didn't know that was one of the differences between traditional crime and hard boiled. I hope you had a great birthday! But you've nailed it perfectly. Means you're a good reader.